Yesterday we had a guest post from Brian Leno, and today John D. Haefele drops back into the action. Want to find out what August Derleth of Arkham House had to do with Creeps by Night, the anthology of weird fiction edited by Hammett? 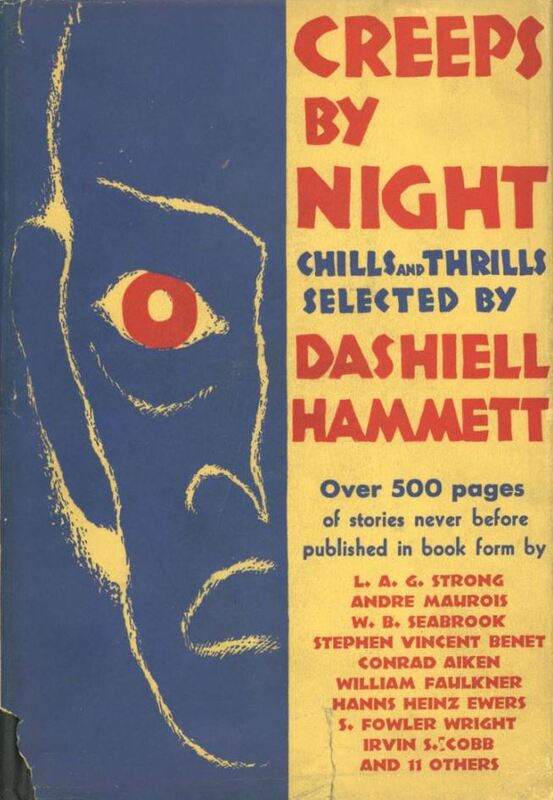 You may not know, but way back in 1931, the up-and-coming Wisconsin writer August Derleth teamed up with the newly famous detective novelist Dashiell Hammett to edit a collection of supernatural horror fiction titled Creeps by Night: Chills and Thrills. 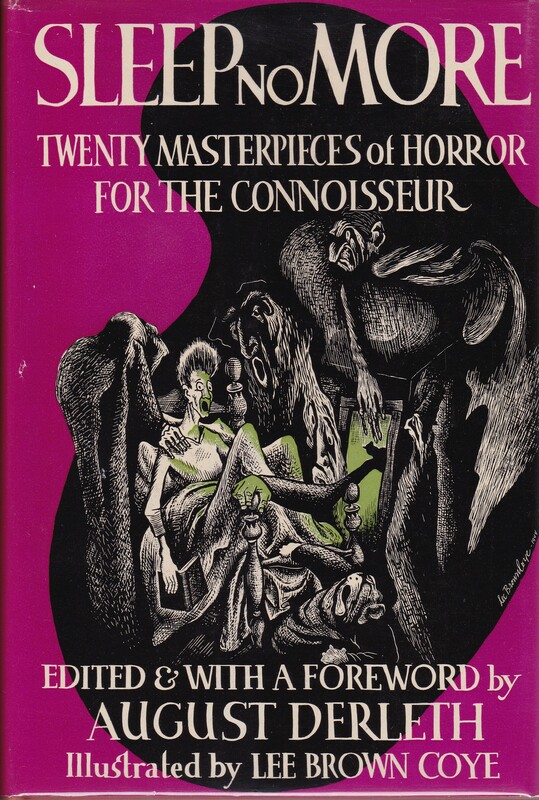 Over the next forty years, Derleth would become one of the most prominent figures promoting the literature of horror, not only with the many anthologies and collections issued by his small press Arkham House, but with a baker’s dozen of his own mainstream anthologies, beginning with Sleep No More in 1944. While Hammett’s fame as an author would only increase from that point on, Creeps by Night would be his single significant brush with the weird tale. Only Hammett was credited as the editor, of course, but he had lots of help rounding up the contents — an effort initiated by M. B. Lawrence on the staff of the John Day Company, the individual most likely to have recognized the upside of enlisting Hammett a year after the Valentine’s Day release of his famous novel, The Maltese Falcon. Help from Derleth and other ad hoc consultants. In the end, 21 tales comprise Creeps by Night, notable for including mid-twentieth century literati Stephen Vincent Benet, William Faulkner, and Conrad Aiken, among others. Today, Creeps is still well-known and has been often-reprinted — a major landmark in modern horror, on the way to the massive omnibus published by Modern Library in 1944, edited by Herbert A. Wise and Phyllis Fraser that included more than 1,000 pages, more than 50 stories: Great Tales of Terror and the Supernatural. Creeps may be most famous because it included one of the first tales to appear in hardcovers in America by a new horror writer named H. P. Lovecraft. The first had been “The Horror at Red Hook” in the 1928 anthology Not at Night! — the contents of which were essentially pirated by Herbert Asbury for the Vanguard Press from the original Not at Night collections that were being published annually in England. As a result of several stories that appeared in the series, Lovecraft experienced slightly earlier acceptance and more success in the United Kingdom. 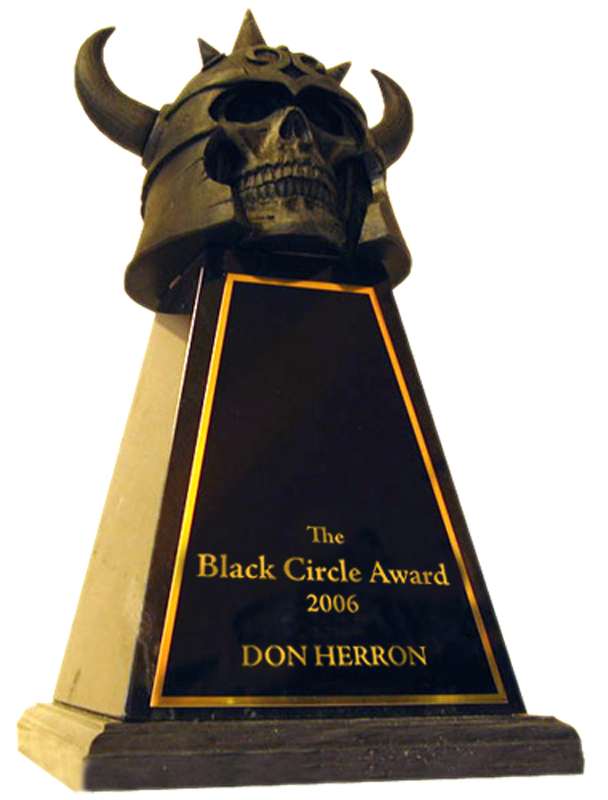 Despite HPL’s having three starred stories listed in Edward J. O’Brien’s annual Best Short Stories volumes, and two others mentioned in O. Henry Memorial Award Prize Stories, only one other American anthology before Creeps used his fiction — the seminal tale “The Call of Cthulhu” appeared in the 1929 anthology Beware After Dark, prepared by T. Everett Harré for the Macaulay Company. But Lovecraft’s stateside stature among readers of the now-iconic Weird Tales magazine where “The Call of Cthulhu” first appeared was growing, due to his fresh approach to traditional horror. HPL’s appearance in Creeps was the tip of the iceberg in recognizing the new school of horror brewing in that particular pulp magazine. Hammett’s anthology also featured stories from Weird Tales by Donald Wandrei and Frank Belknap Long, young protégés of HPL, integral figures in this literary movement. When scholars of the history of horror look to the past, it is this early, representative appearance by members of the Weird Tale crew that should be of greatest interest — they made Creeps more modern than retrospective. Truly cutting edge. This rare first edition of a book which has largely vanished from library shelves, was an anthology-inclusion high-water mark for several writers at the time, including HPL, Donald Wandrei and the present writer, whose work had previously appeared only in Weird Tales. In the biography of Lovecraft I Am Providence, S. T. Joshi calls Creeps by Night a book “worth pausing over” because it “represented one of those fleeting occasions in which [HPL] — or, in this case, his work — came to the attention of an established literary figure.” However, Joshi also notes that Hammett’s introduction “makes no mention of Lovecraft’s story” — but then it doesn’t mention any other particular story, for that matter. Haven’t seen Creeps by Night yet — nor have I received the 25 fish supposedly due me. Congratulations on your 10-spot. Derleth thought $50.00 was due him, but anticipations on the part of others probably whittled the sum down. Shea, like Derleth, had submitted favorites of his own — while authors with stories accepted would be paid $25 and receive a copy of the book, whoever was first to recommend one of these tales would receive $10. Today researchers debate how much Hammett contributed as “editor,” figuring an in-house editor may have done most of the story selection for the book, but there seems to be little doubt that Hammett wrote the appreciative introduction for the collection. I talked with Don Wandrei about this issue once, and he said he never had direct dealings with Hammett, only with an editor at John Day. I finally got $20.00, which is something. As routine, I shall protest, mildly, for a letter this morning informs that a second volume will definitely be published in the fall of 1932, to which I also hope to contribute. Keep this under your hat, please. Unfortunately, a second collection never did happen, which is too bad, because what is worth pausing to consider is the apparent lift in sales Hammett’s name helped provide the book. John Day Company published the first edition of Creeps in 1931, then Tudor Publishing, also a New York company, reprinted the book in 1932. 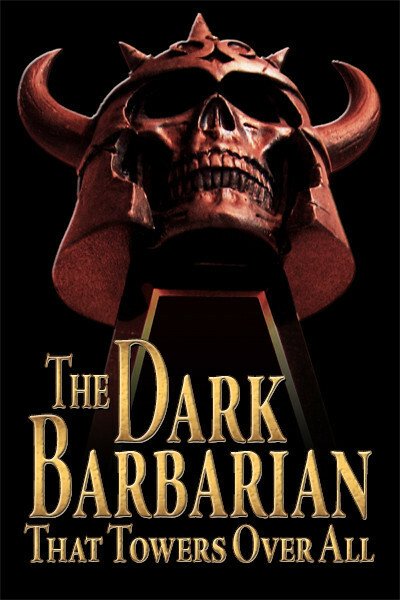 Next, London-based Gollancz Ltd. added to HPL’s popularity in the United Kingdom in 1932, issuing an abridged Creeps edition titled Modern Tales of Horror — omitting S. Fowler Wright’s “The Rats” and Harold Dearden’s “The Strange Case of Mrs. Arkwright,” but retaining Lovecraft’s “Music of Erich Zann,” and the two by Long and Wandrei. All this was only the beginning. . . .
Reprint-publisher Blue Ribbon books issued their own complete Creeps edition in 1936 (often cited “1931” because it reused the first-edition plates). After that, the World Publishing Company, a genre press, released the collection in 1944 as part of its Forum library series — two printings — the first in blue cloth and the second in red. 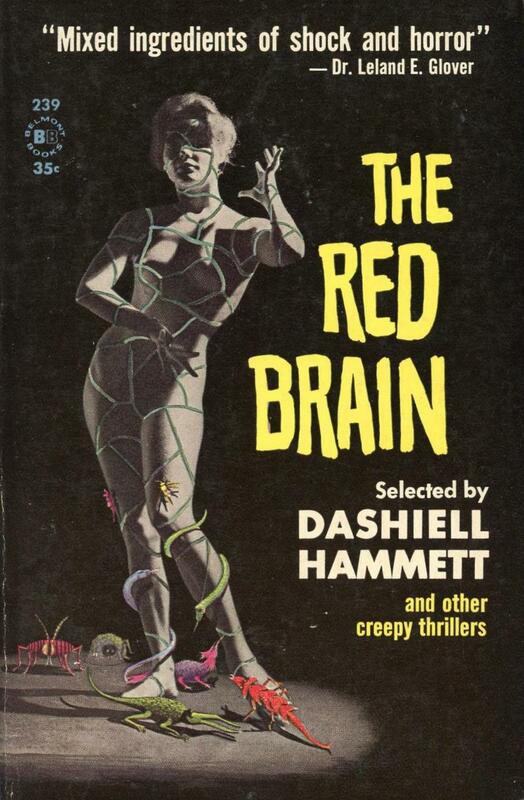 Eventually the mass-market, paperback book industry took up issuing Creeps — Belmont Books printing in 1961 the full contents of the original Creeps in two separate volumes, Creeps by Night, and The Red Brain and Other Creepy Thrillers. Belmont’s in-house editors wisely chose Wandrei’s provocative title (and story) to headline the second volume. To be expected, a leading UK paperback publisher — New English Library, Ltd. — released both titles multiple times beginning in 1968, first under the Four Square imprint and later the NEL imprint. With all of the above in mind, what is truly worth pausing over is August Derleth’s linch-pin role. Only twenty-two years old, it was already his habit to be crossing pens (more often than paths) with authors on both sides of the Atlantic — Arthur Conan Doyle in 1928, for example, as Derleth in A Praed Street Dossier (1968) recounted in “The Beginnings of Solar Pons” — Pons being Derleth’s variant on Sherlock Holmes. Derleth, avid fan and future writer of staid Solar Pons deductive-type fiction. Hammett, already pioneering his stock and trade hard-boiled action. Having just wrapped this survey, it was only natural that Derleth responded to the John Day solicitation when it appeared in Spring, 1931 — probably in Popular Publication’s Black Mask magazine where Hammett was an established contributor, or another of their many newsstand titles — which asked readers to suggest stories they would like to see in their “modern” anthology. Thank you for your long letter of June first, and for the many suggestions for Creeps By Night … Would it be possible for you to go over your list of suggestions and … send us the stories — or the magazines? … It would be of tremendous help to us if we could borrow your copies. As these must be first registered in this office, and then sent out of town to Mr. Hammett, it would be just as well to eliminate such stories as are not really top-notch. Included among the recommendations submitted by Derleth were (at least) three by Lovecraft: “The Outsider,” “The Colour out of Space,” and “The Music of Erich Zann,” which Derleth helped along by opting to “type the whole thing out and send it to Day rather than send the magazine with the story in it,” as he informed Lovecraft in the August 21 letter. Others from Derleth’s list also made the cut, including Frank Long’s “A Visitor from Egypt.” HPL wrote on September 30, 1931, “So Sonny Belknap & Grandpa H P are in ‘Creeps’ after all! … I am sorry that none of your stories was included, but glad that Wandrei’s ‘Red Brain’ got in.” Bittersweet news, given Derleth’s “He Shall Come” didn’t make it past the final cut — Derleth explaining later that Hammett had planned to use it — type was set — but it was cut after the book grew too large. Why mildly? Because there’d be a sequel, one was in the planning stages. Only this sequel never happened. With fame spreading, it is likely that Hammett chose to move on — which is too bad, because any follow-up collection assembled by Hammett — especially if Derleth became involved — would undoubtedly have built upon the ground-breaking trend previously established. The projected omnibus of best weird tales, largely from Weird Tales, has been broken down into three smaller volumes — again, to circumvent paper-rationing difficulties — and the probability is that, though Arkham House will distribute to our patrons, the books themselves will be published by another publisher. The initial collection, Sleep No More, will come in late September from Farrar & Rinehart of New York. This entry was posted in Dash, Lit and tagged "The Red Brain", August Derleth, Clark Ashton Smith, Creeps by Night, Donald Wandrei, Frank Belknap Long, J. Vernon Shea, John D. Haefele, John Day Co., Leigh Blackmore, Lovecraft, M. B. Lawrence, Phil Stong, Sir Arthur Conan Doyle, Solar Pons, Weird Tales. Bookmark the permalink.